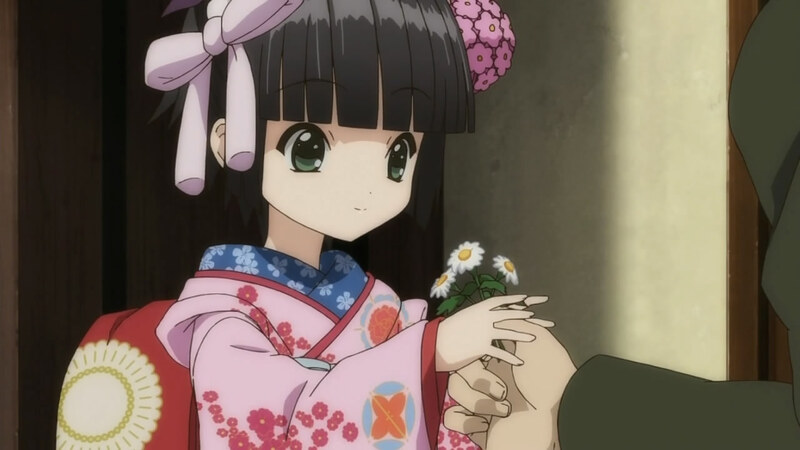 Yune: Saving anime from moe by being more moe than moe. Summary: This episode was pretty much pure wonderful for me, but I’m almost afraid to say anything nice about it in fear that it’s going to do nothing but tread water for episodes 2-11 so the two main characters can vaguely acknowledge that they love each other during the finale like it’s a surprise. Nevertheless, the first installment of a Japanese girl moving to Paris in the 1890s (or thereabouts) is beautifully animated and sweet, without ever crossing the line into saccharine territory. Streaming: Nope, but I wouldn’t be surprised if Crunchyroll announced this soon. Yeah she's cute, but call Yune a little doll to her face and Claude will bitchslap you in that devil-may-care French way. However, the more I watched Ikoku Meiro (and that’s another title I refuse to type out in full), the more I wondered if the accusations of moe were fair. After all, is it wrong for a character to be adorable? Is it automatically pandering if something cute happens in a way that makes you smile, or is that just, well, pleasant? Furthermore, does cute automatically equal moe? Now that this show made me think about it, I don’t think it does, therefore a character as cute as Yune- and DAMN is she cute- isn’t necessarily a symptom of the Terminal Moe Cancer that may or may not be killing anime as we speak. To me,”moe” is like a little girl with day-glo hair jumping up and down in front of you yelling “Look how cute I am! Aren’t I so cute?! Isn’t your heart just ready to EXPLODE from my sheer cuteness? YAAAAY!!! !^^^:)”, and I don’t get that feeling from Yune; it’s more like she just happens to be really cute, and that’s the end of the story. To me it’s the difference between a show making you acknowledge something, versus shoving your face in it. Also, unlike a lot of shows that trade in cuteness (or make the attempt), it makes sense within the context here. To the Parisians that surround Yune early on, from their relatively sheltered viewpoint she really does look like a perfect little doll, and that’s part of the conflict the show will have to resolve on some level- the difference between what everyone thinks this “perfect” little person is, versus who she really is. We’ve already seen this in the first episode. There's a nice moment in this episode where Grandpa bounces on the bed after Yune primly sits down on it that leads me to think he could be a fun character. In fact, the way we see Yune as the Parisians see her is part of what’s intriguing about the show to me. 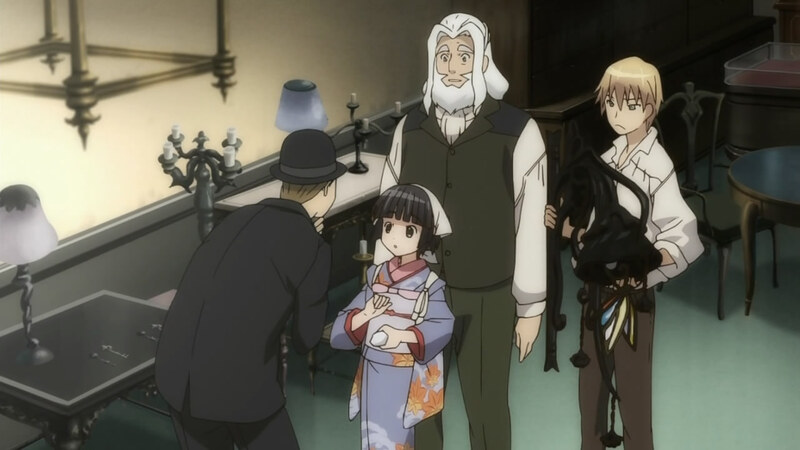 The nice thing about setting the show in the 1900s is that a character like Claude, who is supposed to be a good guy overall, can sincerely say something like “I don’t understand this Japanese girl and her people at all,” and we don’t have to automatically label him a reprehensible racist. Of course, plenty of people nowadays don’t understand the Japanese (or insert any other culture that isn’t your own, really), but in this time frame people could be up front about it, and there’s something refreshing about that- granted, I’m glad the world has moved on (or at least some of it), but I like the fact that we can acknowledge the culture clash here without having to dance around it like crazy. Aside from what I noted in the summary, the main concern I have with this show is that it’s likely to get repetitive- even if it’s kind of heartwarming when Yune learns something new about Western culture while Claude learns just how much steel can be found behind the flowery facade of a true Yamato Nadeshiko, that only works so many times. However, with the de-emphasis on plot, if they’re not exploring the culture-clash angle, what else are they going to do? I’m also not sure what to make of the fact that it’s likely to be a mild romance between Claude and Yune- it could be creepy, but then again, Yune is a lot older than she looks and Claude could still be a teen himself for all I know. It could of course just be about the power of friendship, true love aside, but I’ll believe that when I see it. 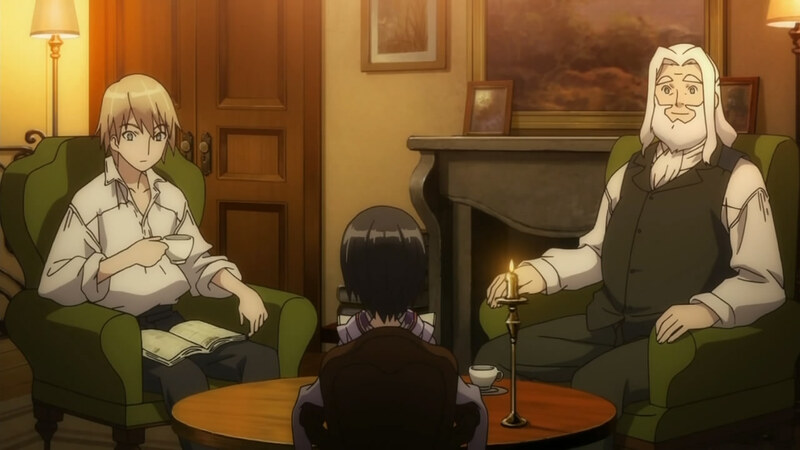 As a final note, there’s a very weird language-related problem in this episode that the characters are speaking Japanese when they’re supposed to be speaking French- which isn’t unusual, but it’s not at all clear when Yune and Claude’s grandfather are supposed to be speaking French and when they’re speaking Japanese. The fact that Japanese is doing double-duty makes one of the key plot points of this episode- the fact that Yune can speak more French than Claude realizes- more confusing than it needs to be. However, given that the language barrier is unlikely to be acknowledged again, I doubt it will be a problem going forward. This was cute and pretty. What else do we need, really? Man cannot live on cute alone. Seriously, this was completely vapid. Sure, the scenery was pretty and the girl was cute, but aside from that there was no real content whatsoever. I need something a little more substantial to hold my interest.